Three pre-war American cars sold for more than a million dollar at the 2015 Bonhams Amelia Island classic car auction in Florida. A 1930 Cord Model L-29 Town Car achieved $1.76 million while a 1908 American Underslung sold for $1.74 million – a new record. A 1932 Stutz DV-2 Super Bearcat Convertible sold for just over a million. Bonhams had around 80 cars on offer at its inaugural auction at the annual mid-March classic car week at Amelia Island in Florida. Bonhams earned $13.95 million with a sell-through rate of 79%. Many of these cars were from the pre-Second World War period with Ferraris and Mercedes Benz cars from the 1950s and 1960s largely absent. The 1930 Cord Model L-29 Town Car belonging originally to actress Delores Del Rio achieved $1,760,000 – the most expensive car sold at the first Bonham auction at Amelia Island. Only four of the L-29s were ever built and this is the only surviving short-wheel base survivor. The 1908 American Underslung 50 HP Roadster surprised when it sold for $1,738,000 – a new world record and well above the pre-auction estimate of $1.1 – $1.2 million. The Underslung famously had its center of gravity very low with large wheels assuring sufficient ground clearance to cope with early 20th-century roads. Many consider the Underslungs to have been the first American sports cars. Another classic American sports car, a 1932 Stutz DV-2 Super Bearcat Convertible, sold for $1,012,000 at the Bonhams Amelia Island 2015 sale. This highly original Bearcat still has its original Weyman fabric skin. Only 20 of these Bearcat Convertibles were ever built with only 8 surviving and all the others in prominent collections. 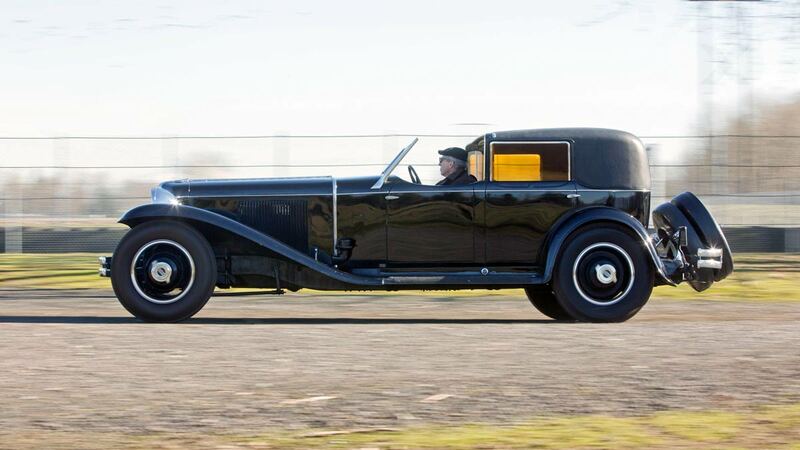 1930 Rolls Royce Phantom I Transformal Phaeton – the car formerly owned by Marlene Dietrich sold for $742,500 at the lower end of the pre-auction estimate. 1980 Ferrari 512 BB – this low-mileage, exceptionally well-preserved 512 sold for a new model record $359,700 around three times the pre-auction estimate of $100,000 – $150,000. 1981 BMW M1 Coupé – the German sports car sold for a $605,000 – a new model record and well above the pre-auction estimate of $400,000 – $450,000. A 1934 Mercedes Benz 500K Four-Passenger Tourer attracted little interest. The highest bid of $850,000 was well below the pre-auction estimate of $1.25 – $1.5 million. A 1962 Mercedes Benz 300 SL Roadster (est. $1.6-$1.8 million) was withdrawn before the sale. However, four Mercedes Benz 300 SLs will be on offer amongst around 80 cars at the Bonhams Mercedes Benz Sale in Stuttgart on March 28, 2015.